Police are appealing for information after a number of items were stolen from the home of South Antrim UUP General Election candidate, Danny Kinahan. It is understood the incident occurred at Castle Upton on May 22, but details were only made public by the PSNI today. A number of items including a Husqvarna chain saw, a Kawasaki leaf blower, a 20 litre jerrycan and several bottles of spirits and beer were stolen. Commenting on the thefts, Danny Kinahan said: “It has knocked me sideways. It has been an intrusion into my personal life, with golf clubs that I had received as a birthday present being taken. “I would appeal to residents to be security conscious and to be aware that homes are being targeted. 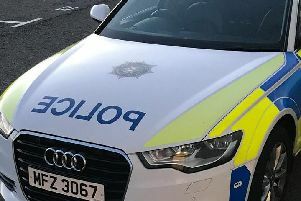 Appealing for information, a police spokesperson said: “Antrim PSNI are requesting assistance regarding a burglary which occurred during the hours of darkness on May 22 at Castle Upton, Templepatrick.